Critique is an art form that requires a light touch, with a splash of irony and good humour to soften the blows. 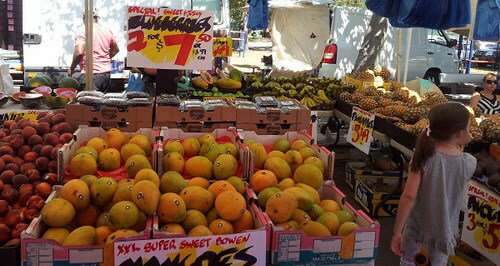 The Burleigh Markets are a farmers market, a gourmet food market, a craft market, an antiques market, and a collectables market. 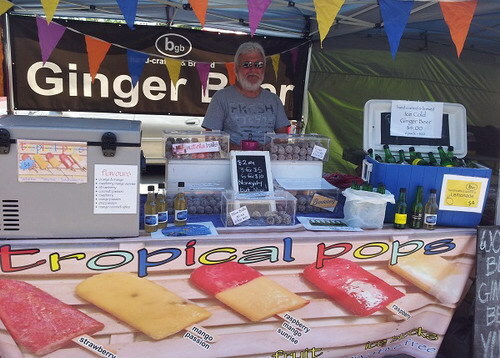 You can buy it all at Burleigh Markets. 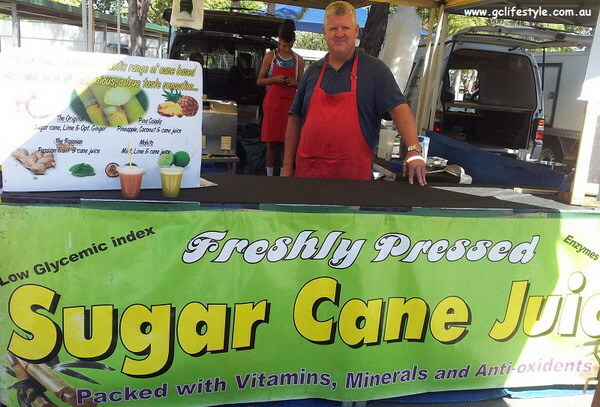 Burleigh Markets boasts a vibrant market atmosphere offering a huge variety of stallholders with some very quirky products for you to taste before you buy. Lots of fruit and veges, local produce, organic suppliers, fresh local honey, gourmet dips, chutneys, bakery, meat, fish, deli, global foods, fresh flowers, plants, arts & crafts, antiques, collectables, and much much more. Many stallholders have farms just over the border in Northern New South Wales, and their laid-back vibe permeates the marketplace. Don't come here expecting a bargain, but the prices are probably as good as you will find anywhere else on the GC. It is a very popular place with the locals. 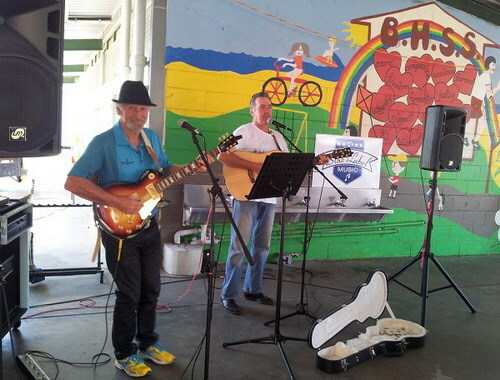 With live entertainment every Saturday showcasing a great selection of local talent the Burleigh Markets is a 'must do' on a Saturday morning. Not only will you enjoy the fabulous stalls, smell the wonderful aromas, sample the tasty foods …. but you will love the vibe. 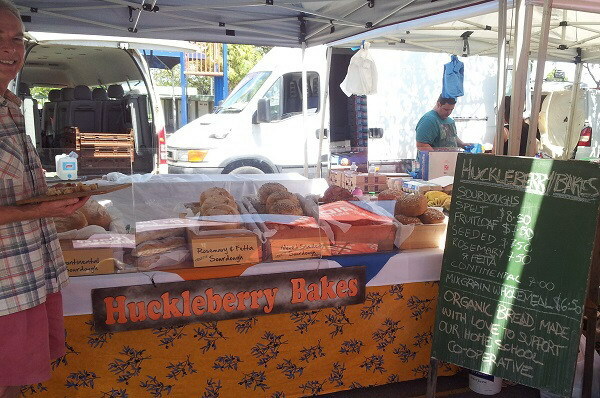 Burleigh Markets - the spirit of local farmers, craftsmen, artisans and producers. 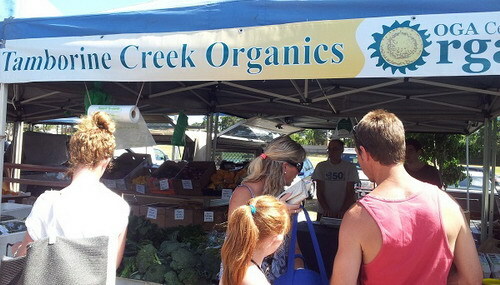 Burleigh Farmers Market has stallholders selling everything you would expect from a local market. 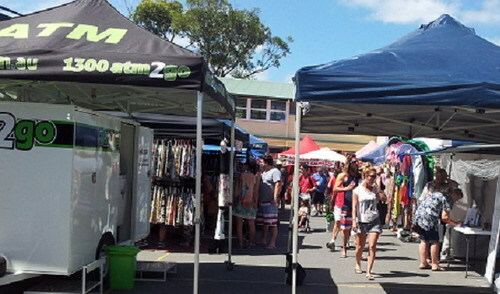 The Burleigh Markets is located in the Burleigh Heads State School on the Lower Gold Coast Highway, Burleigh Heads - at the intersection of the Gold Coast Highway and West Burleigh Road. The Burleigh Markets is located only 100m from James Street – the heart of Burleigh Heads – and 150m from the popular Burleigh beach. Ample free parking is available on the oval and surrounds. Vehicle entry (and access to parking) is available from the Lower Gold Coast Highway.